Brian joined Monash University in 2013. He was previously on the faculty at the University of Western Sydney, Australia. Brian’s research interests are in the areas of B2B marketing, customer relationship management, industrial networks, marketing in emerging economies. The results of this work have been published in the Journal of Business Research, Industrial Marketing Management, Journal of Business and Industrial Marketing, Journal of Asia Pacific Research and two special issues. 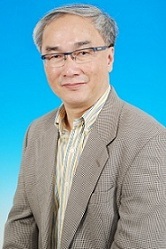 He is an editorial Board member of Industrial Marketing Management, Journal of Business and Industrial Marketing, and Journal of Business Market Management. His teaching includes Business-to-Business Marketing, Channel Management, Strategic Marketing Management, and Marketing in Emerging Economies, in undergraduate, postgraduate and executive programs (MBA, MIB and M.Bus). Brian’s background include marketing management experience that involved strategic and marketing planning, channel management, market research and product management. Brian has also consulted and/or developed and executed in-house training programs for companies such as 3M, BP Castrol, Roche Diagnostic, and Orrcon Steel in the areas of B2B Marketing, Segmenting in B2B Marketing, Value-Based B2B Marketing Strategies, and Managing Customer Loyalty. He has also consulted with several companies in the U.S., Australia, China and New Zealand, such as the Gartner Group, ZhongXing Technology, China Telecom, China Mobile, Hyundai, Nissan Motor, Telstra, and Optus. Brian holds a Bachelors and a Masters degree in Commerce from the University of Auckland, New Zealand, and a DBA from the University of Western Sydney, Australia. Wu, A., Little, V., & Low, B. (2016) Inbound open innovation in pharmaceutical markets: A case study of an anti-diabetic drug in-licensing decision. Journal of Business and Industrial Marketing. Vol. 31(2).